Here's what you need to do in order to collect all achievements and trophies in Crash Bandicoot N.Sane Trilogy. If you’re having fun exploring the world of Crash Bandicoot N. Sane Trilogy, you may find yourself wondering how to get all achievements and trophies. If you’re a completionist, you may seek out this information before you ever jump into the game! Alternatively, if you went through the game and are looking to give it a second playthrough, keeping the game’s achievements in mind as you run through each stage is definitely a good idea. To help give you a leg up, we put together a guide on how to get all trophies and achievements in Crash Bandicoot N. Sane Trilogy. Below, you'll find a list of all trophies available in the first level of Crash Bandicoot N. Sane Trilogy. The N. Trepid Crash Bandicoot (Platinum): Collect all Crash Bandicoot Trophies. 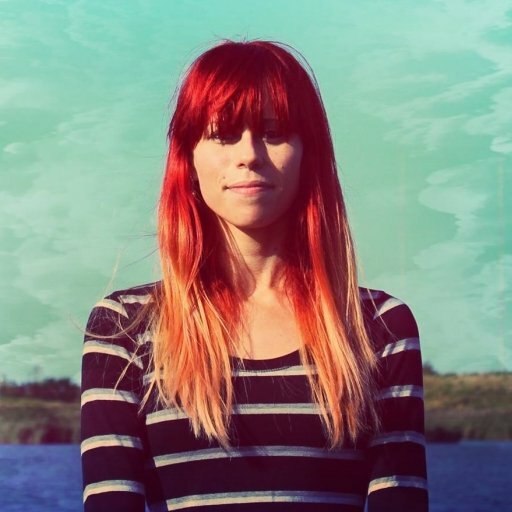 Papu Popped (Bronze): Defeat Papu-Papu. Ripper Ruined (Bronze): Defeat Ripper Roo. Koala Konked (Silver): Defeat Koala Kong. Pinstripe Patooey (Silver): Defeat Pinstripe Potoroo. Nitrus Broken (Gold): Defeat N. Brio. Cortex N. Capacitated (Gold): Defeat N. Cortex. Spin Doctor (Bronze): Spin an enemy into another enemy twice. To spin an enemy, press Square as you run into an enemy with another located behind them. Do this twice. I Meant To Do That! (Bronze): Spin away an Extra Life. When you see a Crash Bandicoot face spinning around, spin attack into it to knock it away. That’s What Those Do! (Bronze): Enter a Bonus Round after collecting three Character Tokens. In each level, you can find Character Tokens in crates. After collecting three Character Tokens, look for the Bonus Round portal. This portal tends to be located near where you found the third character token. A Hidden Gem (Silver): Discover a Gem path after earning a Color Gem. More Gems Are Better Than None (Gold): Earn 13 Gems. The Ultimate Gem Path (Gold): Earn 26 Gems. Catch Me If You Can! (Bronze): Earn 5 Relics. Relics are earned by beating the times for each level in Time Trial mode. Could Go… All… The… Way! (Silver): Earn 10 Relics (gold or better). Practice Makes Perfect (Gold): Earn 26 Relics (gold or better). Beat at the gold relic time on every level in Crash Bandicoot. No Holds Barred (Gold): Defeat 5 enemies with Coco’s Spin. To do this, unlock Coco by beating the first five levels of the first two games. Next, find Coco’s time machine by the first boss levels in each of the first two games. Finally, defeat five enemies by using Coco's spin attack. On Cloud 99 (Gold): Earn 99 Lives. Cortex’s Crazed Contest (Silver): Earn the Key in Sunset Vista. Find all of the Cortex faces in the Sunset Vista level. Complete Cortex’s challenge and you’ll get the key. Cortex’s Terrifying Trial (Silver): Earn the Key in Jaws of Darkness. Find all of the Cortex faces in the Jaws of Darkness level. Head through the portal to Cortex’s Challenge and you’ll earn the key. Feeeed Meeeee! (Bronze): Die by piranha plant. I See London, I See France (Silver): Get electrocuted by the Tesla coil obstacles in the Cortex Power level of Crash Bandicoot. 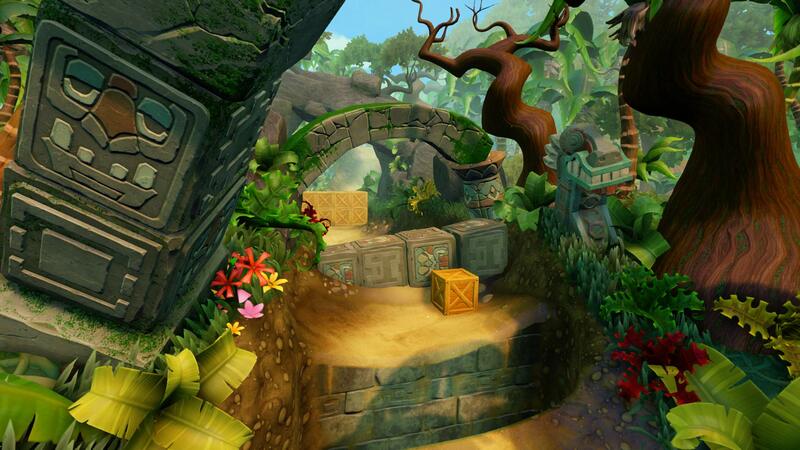 The Box That Broke the Bandicoot’s Back (Bronze): Miss several boxes. The Crown Jewel (Silver): Seek and destroy. An Ancient Antiquity (Gold): Do hard time. Below, you'll find a list of all trophies available in Crash Bandicoot 2: Cortex Strikes Back. The N. Credible Crash Bandicoot! (Platinum): Collect all Crash Bandicoot 2: Cortex Strikes Back trophies. Professor Pulverized (Bronze): Defeat Ripper Roo. Komodo No Mo (Bronze): Defeat the Komodo Brothers. Tiny Tricked (Silver): Defeat Tiny Tiger. Mech Wrecked (Silver): Defeat N. Gin. Cortex N. Adequate (Gold): Defeat N. Cortex. A Road Less Traveled (Bronze): Discover a ‘?’ Bonus path. A Diamond in the Rough (Silver): Discover a Gem Path after earning a Color Gem. Cheated Death (For the Time Being) (Silver): Discover a Death Route by stepping on one of the platforms with a skull and crossbones symbol on it. Jumping the Jetboard (Silver): Unlocked the Secret Exit in Air Crash. At the start, jump on the crates to your right and make your way to a secret platform. That’s it! Island Hopping (Silver): Unlocked the Secret Exit in Bear Down. After being thrown off the bear’s back, jump over the platforms in the water and land on the pink-edged iceberg. The Flora Flop (Silver): Unlocked the Secret Exit in Diggin’ It by finding a secret platform to the left of the path. Then, jump and body slam on the plant. No Bear Left Behind (Silver): Unlocked the Secret Exit in Unbearable. This can be done after you’re thrown off the small bear’s back. Here, you'll want to turn around and slide-jump back the way you just came from. Then, walk over to the bear sitting on the ground to unlock the Secret Exit. Hang in There, Maybe (Silver): Unlock the Secret Exit in Hangin’ Out. This can be done after you fall down the second hole and land in the water. Here, you'll want to walk towards the camera. In doing so, you’ll find another hole you can jump down. Make your way through the room filled with drones to unlock the Secret Sxit. One Man’s Trash (Gold): Earn 21 Gems. Laser Powered Vengeance (Gold): Earn 42 Gems. Kick the Tires! (Bronze): Earn 5 Relics. Relics are earned by beating the times for each level in Time Trial mode. Earn any five relics to unlock this. Light the Fires! (Silver): Earn 10 Relics (gold or better). Wumpa-Burner Engaged! (Gold): Earn 26 Relics (gold or better) by beating the gold relic time on every level in Crash Bandicoot 2: Cortex Strikes Back. A Helping Paw (Bronze): In Warp Room 2, jump on the polar bear’s head 10 times. Crash Cubed (Silver): Die while flying through the air. Buzz Off! (Bronze): Die from a bee sting. Cortex N. Furiated (Bronze): Start and quit a level three times without doing anything. Boom Shakalaka! (Gold): Defeat 5 enemies with Coco’s Double Leg Drop. First, unlock Cocoand defeat five enemies with her Double Leg Drop move. This is done the same way as Crash’s body slam by pressing X, then Circle while in the air. 99 Percent Perspiration (Gold): Earn 99 Lives. Below, you'll find a list of all trophies available in Crash Bandicoot: Warped. The N. Vincible Crash Bandicoot! (Platinum): Collect all Crash Bandicoot: Warped trophies. Tiny Trounced (Bronze): Defeat Tiny Tiger. Penta’s Revenge (Bronze): Defeat Dingodile. A Nefarious Trophy (Silver): Defeat N. Tropy. Mech Wrecked, Again! (Silver): Defeat N. Gin. Cortex N. Carcerated (Gold): Defeat N. Cortex. Taking the Scenic Route (Bronze): Discover a ‘?’ Bonus Path. A Cut Above the Rest (Silver): Discover a Gem Path after earning a Color Gem. Not a Scratch (Give it Time) (Silver): Discover a Death Route. Leave No Gem Unturned (Gold): Earn 21 Gems. Bringing Down the House (Gold): Earn 42 Gems. Giving 102% (Silver): Earn all Gems in the bonus levels. Buckle Up, Boys, Buckle Up! (Bronze): Earn 5 Relics. Relics are earned by beating the times for each level in Time Trial mode. Earn any five relics to unlock this. Is There a Problem, Granny?! (Silver): Earn 10 Relics (gold or better). Boo-yah, Grandma! Boo-yah! (Gold): Earn 30 Relics (gold or better). For this, you’ll need to beat at least the gold relic time on every level in Crash Bandicoot: Warped. Category Five (Gold): Defeat 5 enemies with Coco’s Savage Hurricane Spin. First, beat N. Tropy and unlock the Hurricane Spin upgrade. Then, use your spin attack as Coco five times on an enemy to unlock this trophy. Time Saves 99 (Gold): Earn 99 lives. UFO Xing (Silver): Discovered the Secret Exit in Road Crash. Follow the road until you see an alien road sign on your left-hand side. Drive into it to unlock the trophy. Getting Carried Away (Silver): Discovered the Secret Exit in Dino Might! To unlock this trophy, you’ll need to get 10 Relics by replaying levels and beating the Time Trial times. Once you’ve done this, head to the Secret Area and grab the yellow gem from level 27. Then, return to the Dino Might! level and look for the yellow gem path. When you start being chased by the giant dinosaur on this path, look out for the two pterodactyls on tree trunks. You want to jump onto the second one to activate the secret exit and unlock this trophy. The Riddle of the Sphynx (Bronze): In Tomb Time, use your bazooka to shoot either side of the sphinx’s mouth at the start of the level. Accept No Substitutes (Bronze): Obtain all the relics, gems, and items. Then, your game completion will read as 104%. 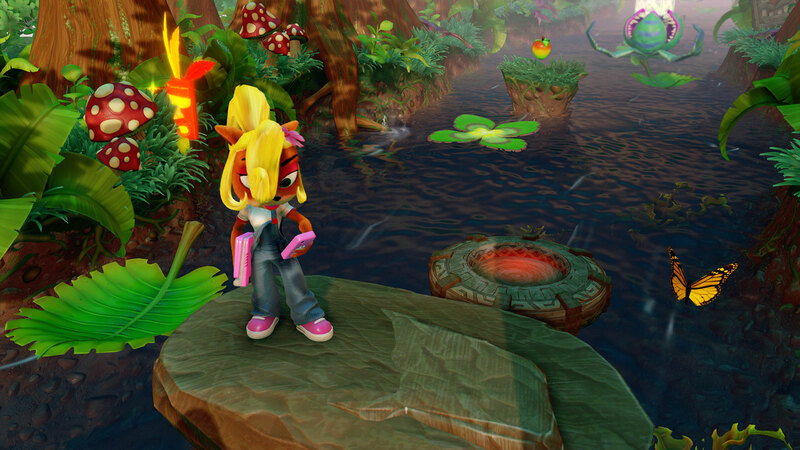 Next, revisit earlier levels and seek out a fake Crash Bandicoot who's easy to find as he’ll be dancing around. Once you find him, shoot him with your fruit bazooka. Warts and All (Bronze): Let a mage kill Crash by turning him into a toad. Keeping Crash Under Wraps (Silver): During the “Sphynxinator” level (16), hit one of the walking sarcophagus’ and a mummy should pop out. 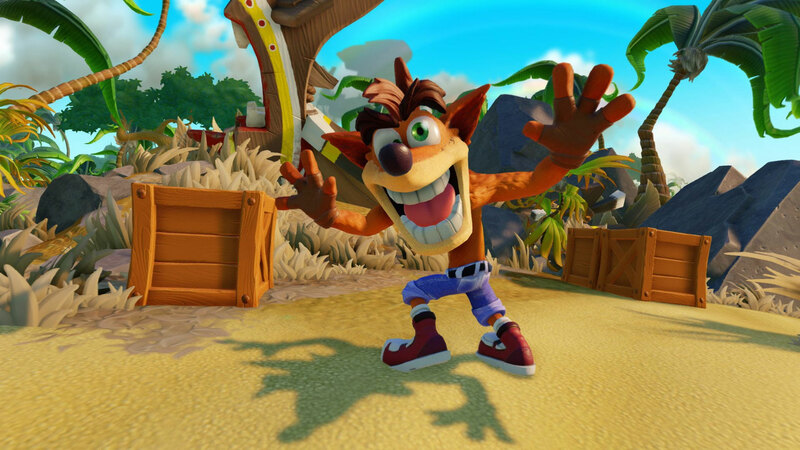 Let Crash be grabbed by it and you’ll unlock this trophy. Trigger Clickin’ Good (Bronze): After you’ve unlocked the bazooka, revisit the first level and shoot the chicken at the start. Kill five chickens in this level to get the trophy. Your Moment of Zen (Silver): On the ‘Tomb Time’ level, you’ll find a monkey popping out of four jars. Dodge its throws until it ceases, then destroy the jars and you’ll see the monkey’s ghost ascending to the heavens. There you have it, a look at how you can unlock all trophies and achievements in Crash Bandicoot N. Sane Trilogy. While there's quite a few, many of them you'll earn during your first playthrough. After that, you can focus on getting any leftover trophies during your next playthrough. What was the hardest trophy to earn? Let us know your thoughts in the comments below! By reading through this guide, you should now know how to get all trophies and achievements in Crash Bandicoot N. Sane Trilogy.